Kimono were worn by people as everyday clothing. The refined design of the garment is still popular with many Japanese people, as well as people from all over the world to this day. 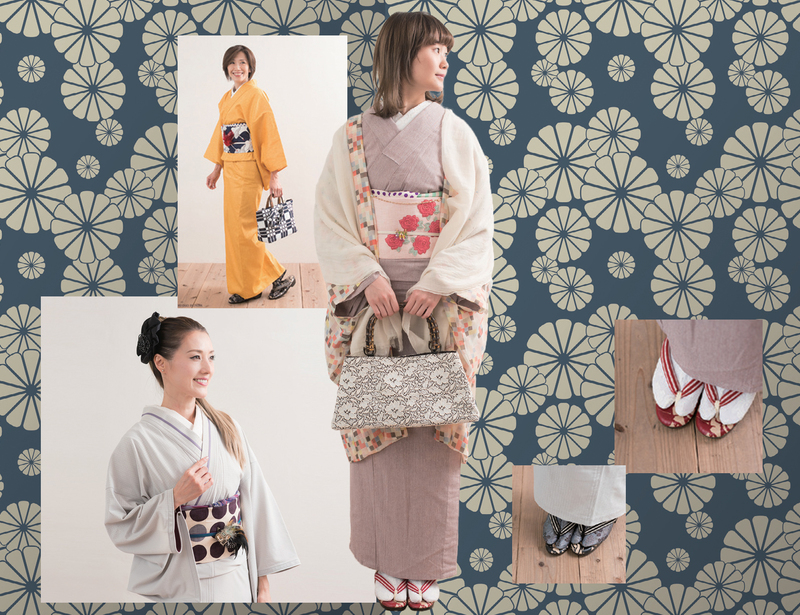 Let’s unravel its history and take a look at how the style of the kimono has changed and discover why it is loved by so many people in today’s Japan. The archetype of today’s kimono has its roots in kosode, a type of kimono that had its sleeves sewn up to just below the wrist. Nobles used to wear this garment underneath a twelve-layered robe, commonly known as, ” juni hitoe”, while commoners, from time to time, wore the narrow-sleeved kimono alone for going out. However, as the samurai class emerged during the Muromachi period (1336-1573) and a greater emphasis was placed on movement in clothing, the fashion style of the upper class blended with that of the lower classes and kosode became a common garment worn when going out. Since then, through the Edo period (1603-1868) to the Meiji period (1868-1912), the design has evolved to today’s style of kimono. Most garments we see today were woven after the Azuchi-Momoyama period (1568-1600). A lot of the garments made before that era have not kept their shape and only parts of the fabric remain. Some garments worn between the Azuchi-Momoyama and Edo periods still exist today, however they are mostly ones that once belonged to wealthier citizens, such as people from the aristocratic or samurai classes, or rich merchants. This is because commoners in the era would repurpose their old, damaged clothes that were no longer wearable to make everyday household items such as bedclothes or smaller kimono for their children. When these also got worn out, they would use the fabric as a rag or nappy until it fell apart. Also, yukata are universally loved due to their ease of wear and low price. Originally, the word referred to a plain linen garment worn when going to take a bath and to absorb sweat afterwards. During the Edo period, cotton replaced linen as the fabric of choice due to its superior absorbency, smooth feel and lower price. After the end of the warring state period, an extravagant culture that reflected the taste of the samurai classes emerged, where gold and silver was used in abundance. Even though single-colour weaving patterns had been mainstream until then, the colours and patterns used diversified. As a result, the more dynamic styles of momoyama kosode and keicho kosode appeared. As the shogunate system of the Edo period stabilised and the economy developed, the common classes became the new bearers of culture in place of the samurai class. The fashion of actors and prostitutes led to the birth of kanbun kosode, which had an unconventional dyed pattern from shoulder to hem. The kosode became more sophisticated, which led to the emergence of genroku kosode. Due to a ban on luxury initiated by the Edo shogunate, plain fashion, such as striped patterns, became the trend during this period. Regardless of their age or gender, people often wore kosode with a dark coloured outer layer, usually brown, navy blue or grey. In addition to that, komon, small patterns drawn on the whole garment, and susomoyo, patterning on the skirt, became popular. In the Meiji period, most people mainly wore traditional Japanese clothing, in keeping with the plain colour trend from the Edo period. The susomoyo also remained prominent in the first half of this era. 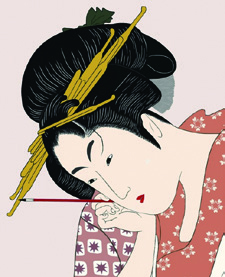 In the second half of the era, kimono dyed vivid colours with chemical dye started to appear. a wealthier, less restrictive culture. 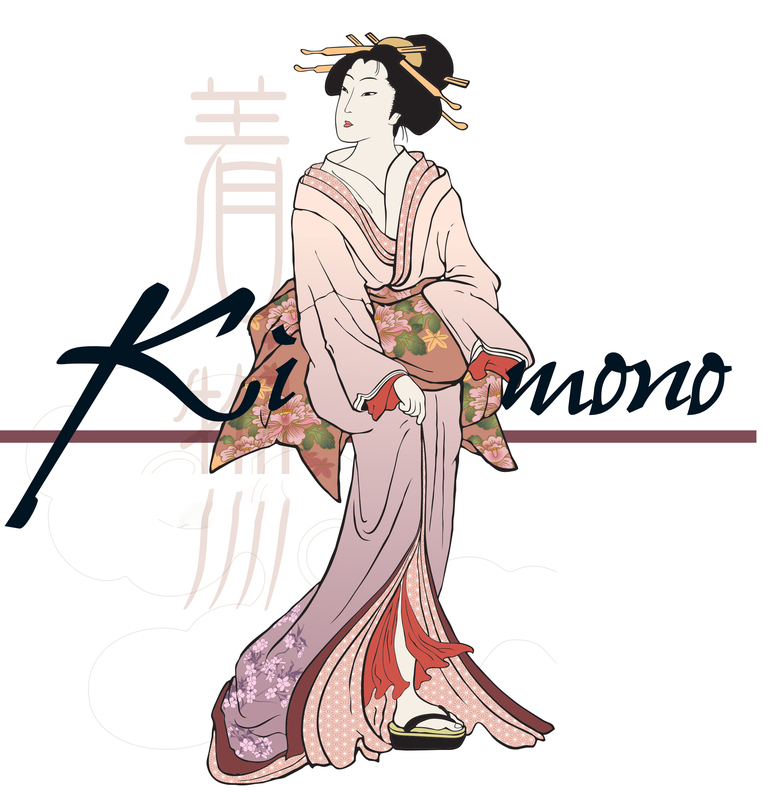 The colours used in kimono became significantly brighter, using motifs with a western influence, such as oil paintings, art nouveau and art deco. In the early Showa period, the western style that gained popularity in the Taisho period and the traditional style combined, producing a bold colour variation with a modern design. This style became prolific during that era. After World War II, in the lead up to the bubble economy of the late 1980s, Japan experienced accelerated economic growth. In this era, western clothing steadily became more commonplace and more luxurious kimono were being produced. However, many new trends came and went during this period. One example of such a trend is the use of lamé fabrics. By the Heisei period, the trend had moved towards a more conservative and elegant style. 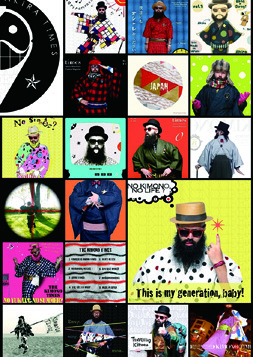 Later on, driven by a rise in popularity of antique kimono and colourful yukata, particularly with young people known to be rule-breakers, the style began to trend towards a more free and unique way of combining pieces. TO TREND TOWARDS A MORE FREE AND UNIQUE WAY OF COMBINING PIECES. Yoshiko Honda, a professional photographer, saw Japanese beauty as epitomised by an actress wearing kimono. “KIMONOstylingHANA” is a project she has been working on, showing Japanese beauty through the garments. She hopes that this project will encourage more people to wear kimono in a smart and stylish way, and that they can come to enjoy it in their everyday lives. Profile: Yoshiko graduated from Aoyama Gakuin Women’s Junior College before working for an airline. Later, after having children, she focused all her effort to become a professional photographer, working in the bridal market for almost 10 years. Now, she has a photographic studio in Tetsugakudo in Tokyo’s Shinjuku, where she has been doing portraits as well as pregnancy photo-shoots in her own unique style. She has also been working as a photographer for the websites of various companies, magazines and celebrity collections. pairing contemporary clothes and kitsuke (the traditional way to wear kimono) which has been passed down through generations. 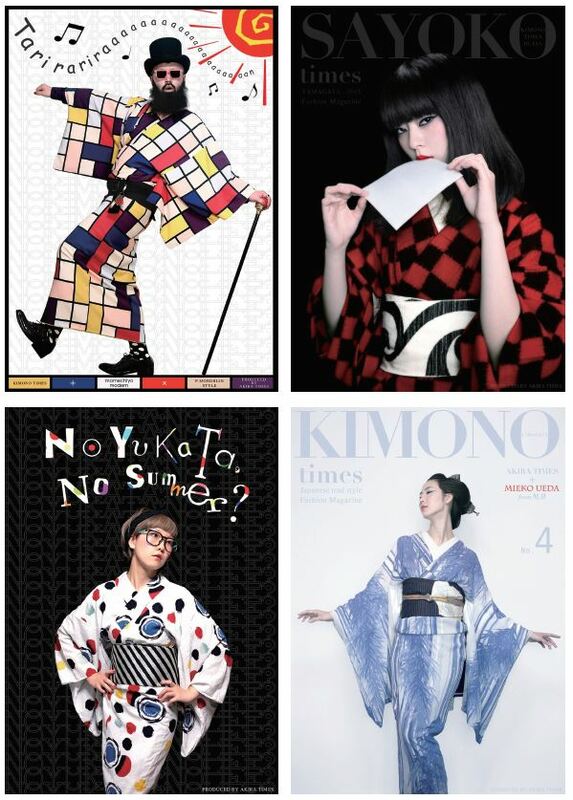 By contrasting the classic and contemporary styles, they aim to present the idea of an image and shade in a mirror, which is the original concept of the theme, ‘Re-flection’, while hoping that Japanese culture can be revitalised through kimono and yukata. 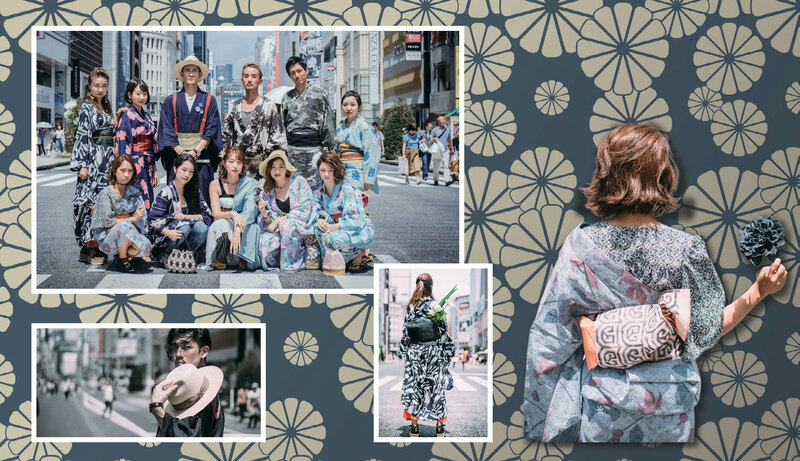 Profile: In this project, a group of people, dressed in traditional kimono in a stylish and cute way, walk proudly around the city of Tokyo. The photos can be found on Facebook and Instagram. Their eye-opening kimono style should not be missed. Profile: Akira was born in 1980 in Yamagata prefecture, Japan. After graduating from junior high school, he worked on his family’s fruit farm before suddenly developing a panic disorder, which drastically changed his life. He found himself drawn to photography and computer graphics, and has been producing his works ever since. He still lives in Yamagata and continues with his work, showcasing the beauty of kimono for the whole world to enjoy.